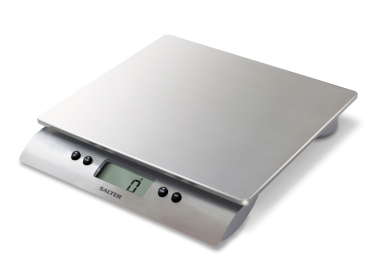 Salter Digital Scales (Stainless Steel) - Industrial Plasters Ltd.
Salter Aquatronic Stainless Steel Electronic Digital Scale, domestic quality, 10kg capacity, ideal for small plaster mixes, catalysing resin, silicone, etc. The Salter Aquatronic Stainless Steel Electronic Digital Scale has an Aquatronic function that measures liquids in ml or fl oz. It has an extra high capacity of 10kg and the extremely useful Add & Weigh option allowing measurement of multiple ingredients in the same bowl - saving on the washing up.